This works wonders and today the kids were delighted to be able to decorate their own cupcakes. I had a few packets of long life cupcakes, and they had a brilliant time dipping them in a pot of melted chocolate and covering them with sprinklers and sugar confetti. I also had some sugarcraft flowers and butterflies which were left overs from something i was making a few weeks ago and we found them a good place on top of the cupcakes! 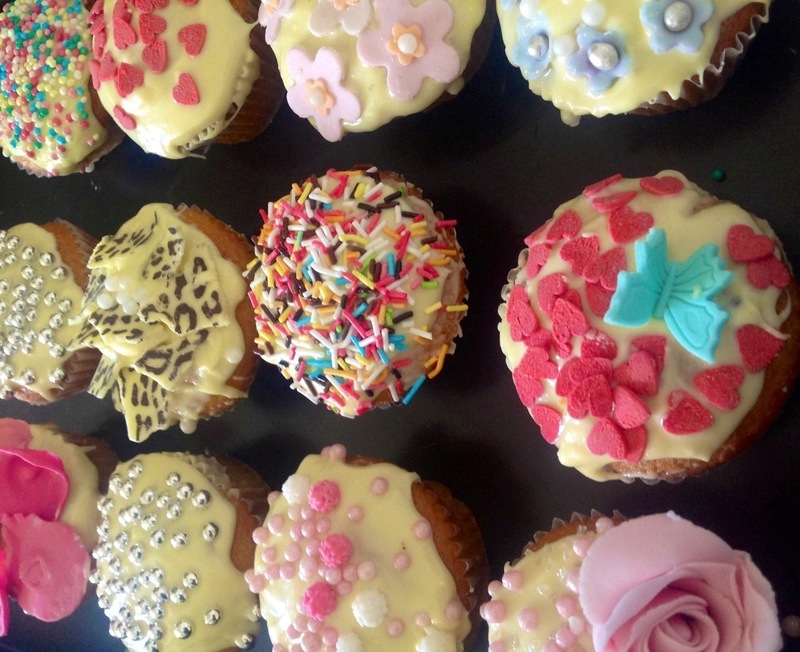 The kids packed them and took them back home and I have a feeling that the cupcakes will probably not be eaten but will be greatly admired by them over the next few days! I find that it is always so much easier to entertain kids by getting them to do something and a food activity is always a success ! A satisfying and happy day for everyone ! ← Happy Fourth of July: celebrating on the island with a special Kiwi Pie !